Four exceptional artists will blast off the new night Volumi Dinamici. 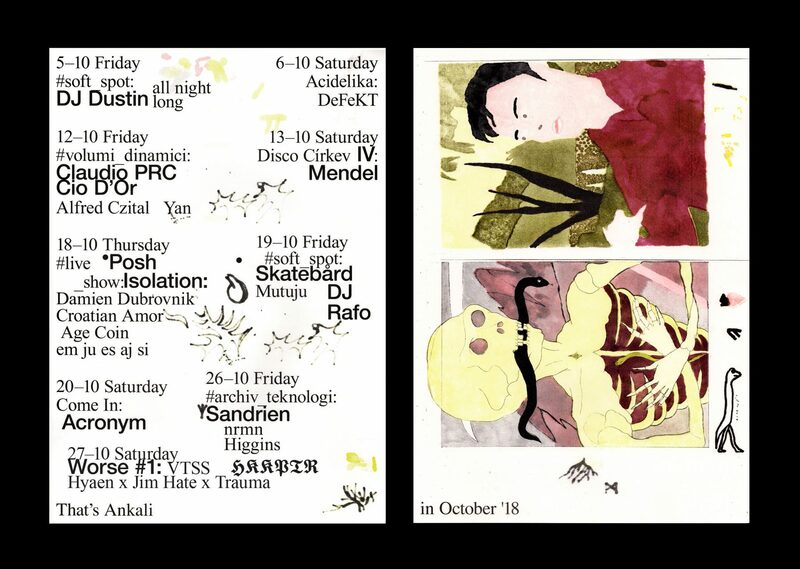 Joining the series curated by our resident Claudio PRC will be an idiosyncratic producer Cio D’Or and local hypno heads Yan and Alfred Czital. Volumi Dinamici started off as a project released last year for Semantica Records by Claudio PRC. In Ankali, Claudio transforms it into a club format exploring different dynamics of techno music. Sharing the decks with him will be Cio D’Or, a singular artist with an inimitable aura who released fantastic hallucinatory Techno records on Prologue and Semantica and a couple years back smashed the main floor on one of the most memorable Polygon parties in an abandoned space of the former Face2Face club. Also on the bill are two local and residents of Ankali – Yan and Fred Czital. The former will deploy his remarkable stock of finest trax while the latter will perform a rather unique live set.